Recently I have been stalked in the kitchen by a little guy. 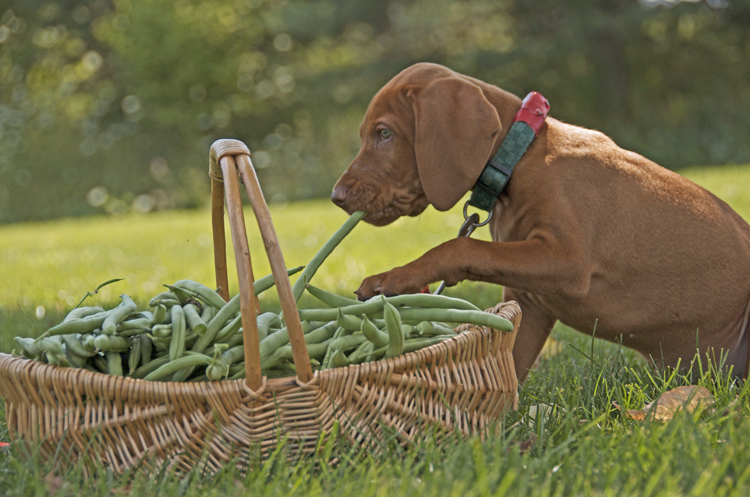 His name is Laszlo, our new Vizsla puppy. Frankly, I have never tolerated well having others around when I cook. My kitchen is my castle! 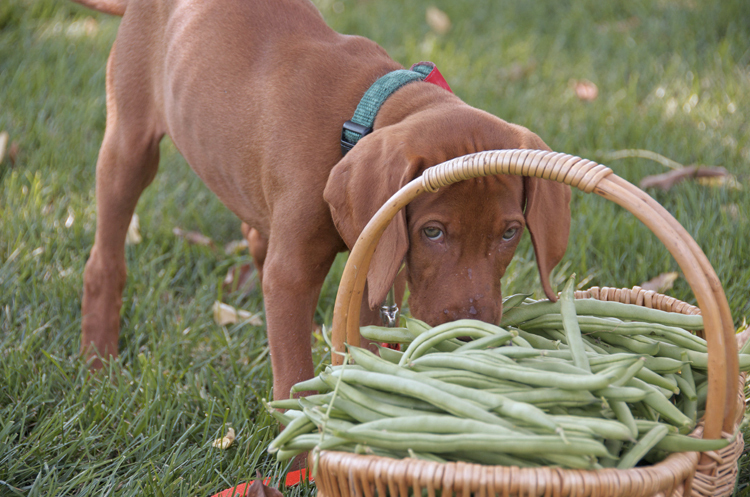 And now, in busy August of all months, when a constant flow of produce from my garden lands in my kitchen waiting to be processed, I have a puppy bouncing around, nibbling on my feet, exploring every inch of the kitchen, trying to open the refrigerator with his tiny paws and mouth. 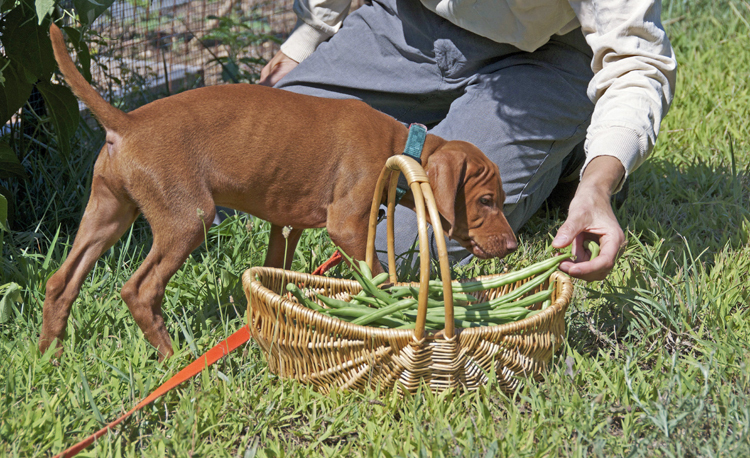 Up until Laszlo’s arrival to our home two weeks ago, Woody, our 14-year-old Vizsla, has been my shadow – in the kitchen, in the garden, and everywhere else. While I am writing this, he is snuggled up next to me on the couch, sleeping. It took me more than two years to accept that with Woody getting older, it was a good idea to bring a puppy into the family. Woody and I have our established routine. As I am whirling around in the kitchen, he usually dozes on his cushion in the open pantry, or quietly watches me. With Laszlo’s arrival and frenetic energy, Woody spends much less time with me in the kitchen. Instead, he seeks peace and quiet in other rooms. These hours spent with Laszlo in the kitchen every day are important. Kitchen time is socialization and bonding time for the puppy and me. He is getting used to lots of cooking noises, smells, steam, heat, and my occasional outbursts when something goes wrong. Yesterday afternoon I harvested green beans (Blue Lake pole beans) for pickling. I took Laszlo down to the garden for the first time. He was quite entertained, taking everything in and munching on a few beans. 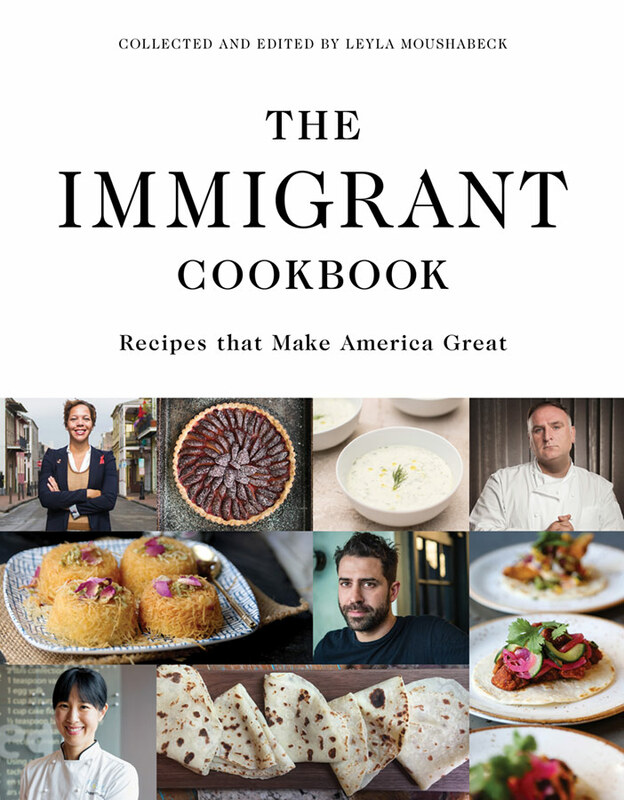 The recipes I tried last year were so good that I wanted to make them again: Dilly Beans from Food in Jars and Emeril Lagasse’s Lemon Rosemary Pickled Beans (without the Bloody Mary; if I had one of those during the day, I would have to lie down right away for a nap with Laszlo on his cushion). I also tried a third, new recipe, Tarragon Beans from Linda Ziedrich’s The Joy of Pickling . Because I like to leave the beans uncut at their full length, I put them in quart jars instead of the pint jars used in the recipes. 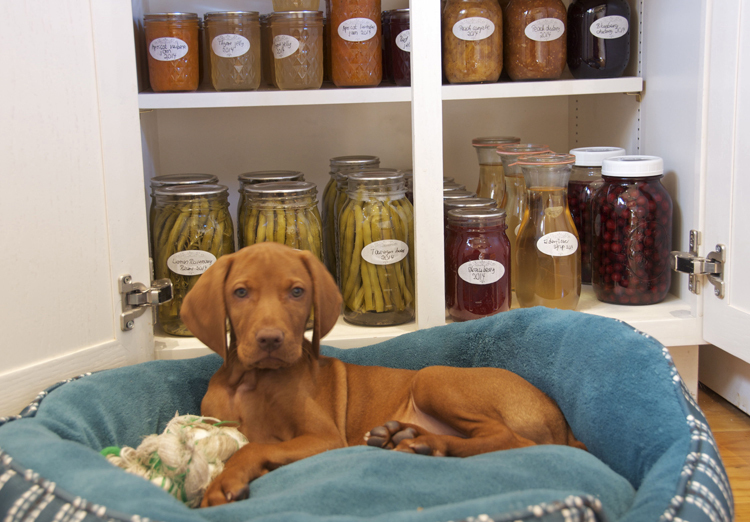 By the time I poured the boiling vinegar mix over the jarred beans – a smell that made my husband gasp when he popped into the kitchen to check on us – Laszlo was soundly asleep in his crate. He did not even open his eyes. A few days ago I still wondered how in the world I would deal with the intruder in my kitchen. Looking at the line-up of jars from yesterday I feel more confident that I can handle cooking with Laszlo. And harvest season has just begun. Stay tuned. I just found your blog via a Google search of elderberries (images) and am I glad I visited! 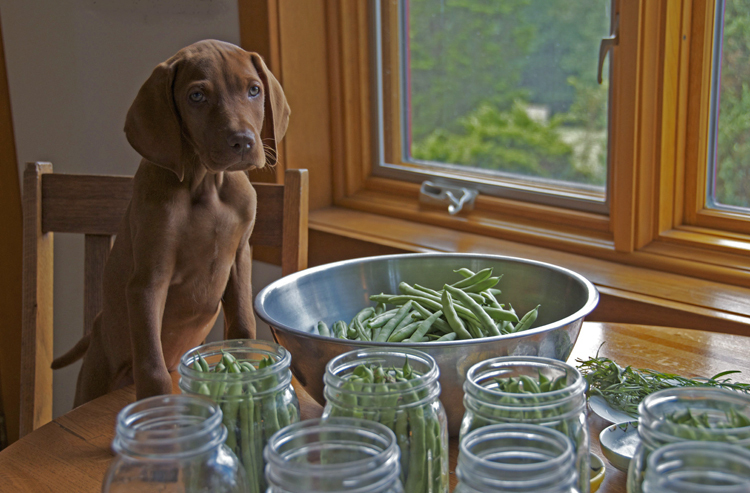 I am intrigued by the idea of cooking with a puppy in the kitchen, but only in photos, ha ha. My cat doesn’t bother with me when I’m in the kitchen, which is a good thing. I think she’d get crushed by an errant step. I harvested elderberries yesterday and got about 4 pounds of them destemmed. They grow wild in a local (very large) county park here in southwestern PA; a few years back, I “borrrowed” a few and got a patch started on my own property. No flowers, therefore no berries on my own this year, but enough at the park to make me happy. Seeing that you have some very interesting recipes for them, I’m motivated to go back and get the rest of the berrries. But Laszlo is gorgeous and I’m sure he’ll grow into a wonderful kitchen companion. Laszlo has found his niche…dog model.